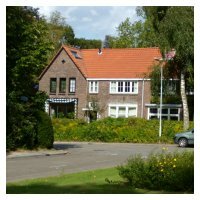 “Op de Berg” is aimed for people who will stay in Wageningen for both shorter (days/weeks) or longer periods (weeks/month). This can be, for example, for tourist activities (walking and cycling) or for employment (guests or temporary staff members of Wageningen University and Research centre). “Op de Berg” is the perfect place for people who prefer peaceful and quiet lodgings and appreciate staying in an enjoyable and well-cared-for ambiance.